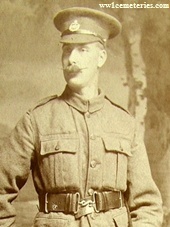 20th September 1917, aged 38. Panel 128 to 131 and 162 and 162A. Husband of Ethel Elizabeth Escott, of Swift Cottage, Sidmouth Cottages, Weston-super-Mare. 18th August 1917, aged 26. Picture courtesy of Dawn Dean. 30th October 1917, aged 35. Son of Isabel Gillett, of 9, Glaucus St., Bow, London; husband of Maria A. Gillett, of 181, Grange Rd., Ilford. Essex. ​Picture courtesy of his grandson James Gillett. 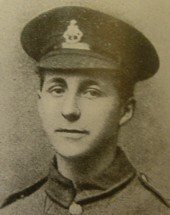 16th August 1917, aged 19. Panel 138 to 140 and 162 to 162A and 163A. Son of Charles Edward and Alice Greenhead, of 24, Bishops Rd., Croydon. 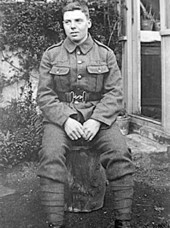 26th October 1917, aged 19. Born on 5 Sep 1898 at Willington, Durham. Enlisted at Bishop Auckland, Durham. 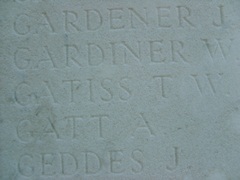 ​After the war his grave was among those the Army Graves Service was unable to trace and he is therefore commemorated by name on the Tyne Cot Memorial, Passendale, Belgium. The names of the servicemen of the Gordon Highlanders are engraved on Panels 135 – 136 of the memorial. He is also commemorated on the Willington War Memorial, Durham. Per information I found at the National Archives, his medal card under roll no. 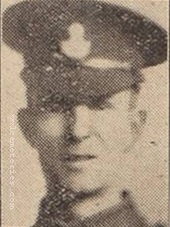 G/1011312, states he was awarded the Victory & British Medals. Deeply missed always by his loving family; in particular his first-born sister Mrs Lilian Plant (nee Gatiss), who in January 1989 (just four months before she passed away) and two years after her correspondence began with the CWGC, successfully got to see his full “Roll of Honour” details, updated in the Tyne Cot Memorial Register, when it was re-printed: Her family are indebted to the CWGC for their help & assistance in updating the record, & settling the mind of our wonderful grandmother in her final months. 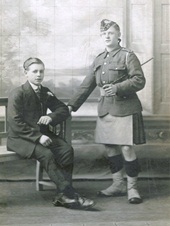 The above image shows Thomas William Gatiss in his uniform with his brother John Plant Gatiss (1900-1968) taken c. 1916/17. On behalf of all his extended loving family, who loved & love him still. R.I.P. Image of Thomas and John Gatiss courtesy of Suzanne Tyson-Butterworth, grand niece. ​Image of Thomas's name engraved on the memorial courtesy of Rebekah Jane Davis, great grand niece.